This extending dining table seats four at the smaller setting and six when extended (possibly eight for a cosy family dinner!) 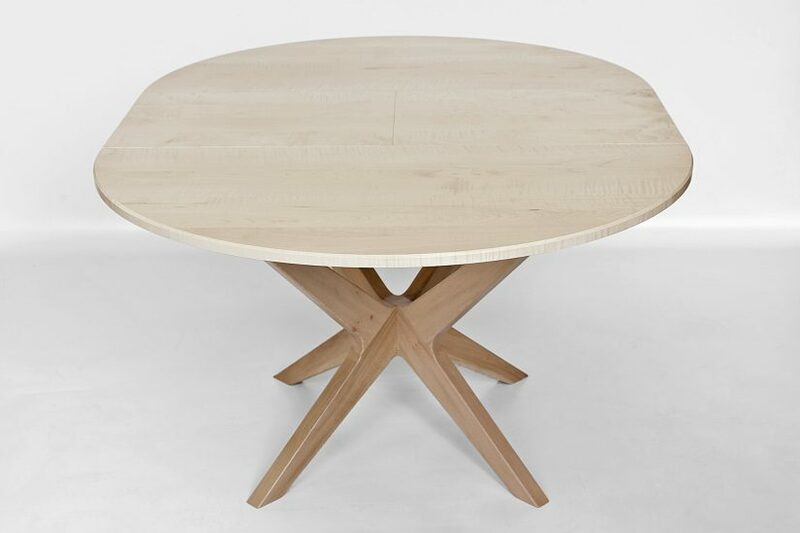 The top is made of a creamy coloured Rippled Sycamore with beautiful wavy grain patterns and the legs are made from London Plane, which exhibits a lovely speckled grain pattern and varying colour from cream, though pink to light brown. 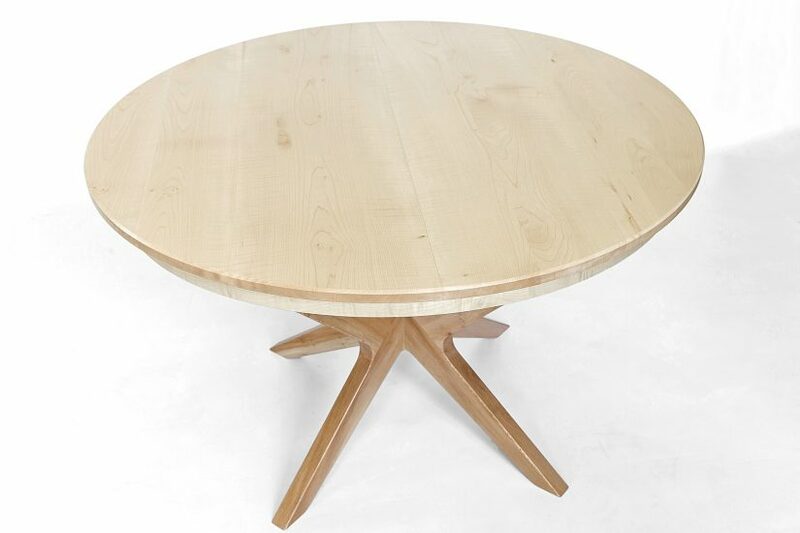 The legs are a unique design, which allows all diners to have a seating area unencumbered by a table leg even when the table is extended, making for a comfortable meal all round. 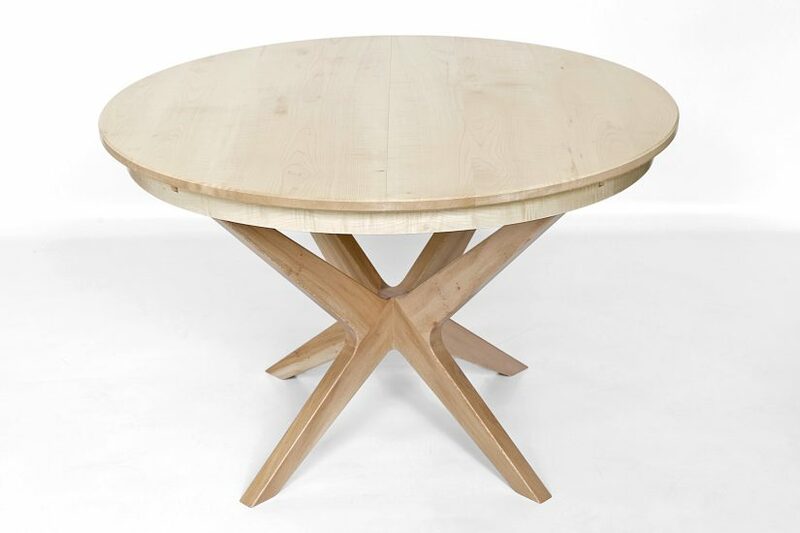 The integral butterfly leaf design means that the table extension is stored within the closed table and doesn’t need to find a separate home when the table is closed. 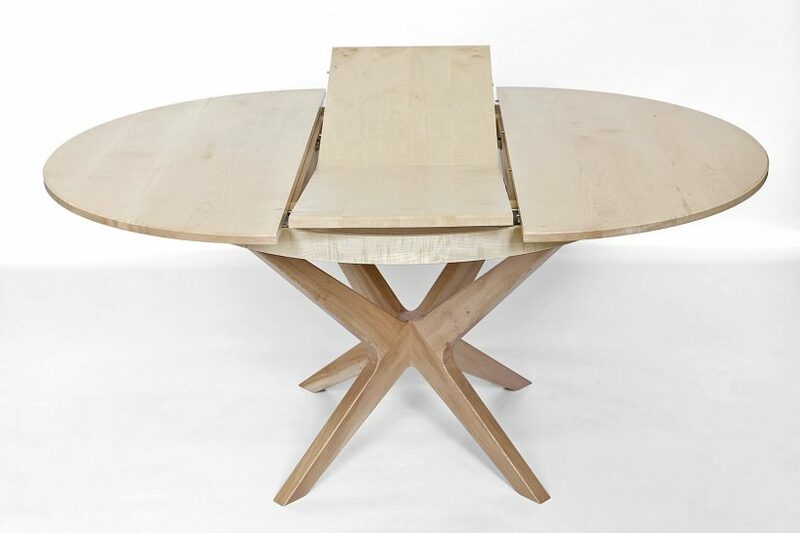 The table is easily extended by undoing bolts either side of the top and pulling out each of the two halves to expose the butterfly leaf in the middle. 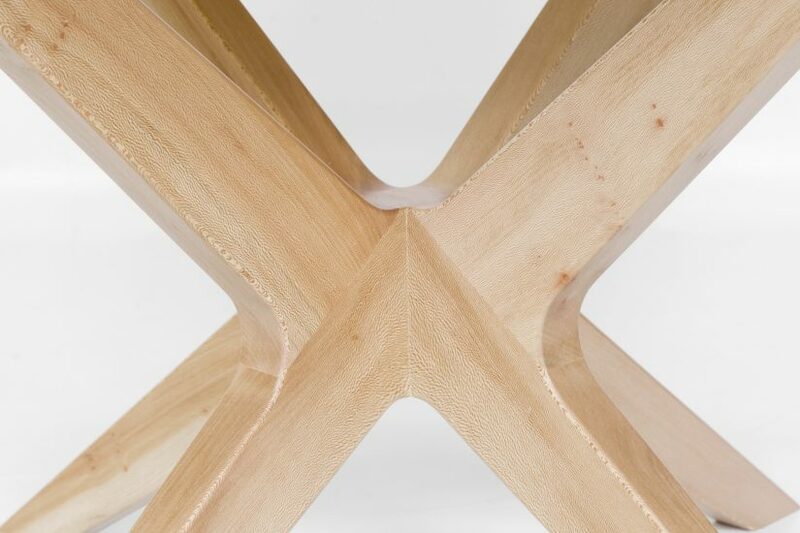 This leaf hinges upwards and outwards to form the central extension piece without any heavy lifting required. 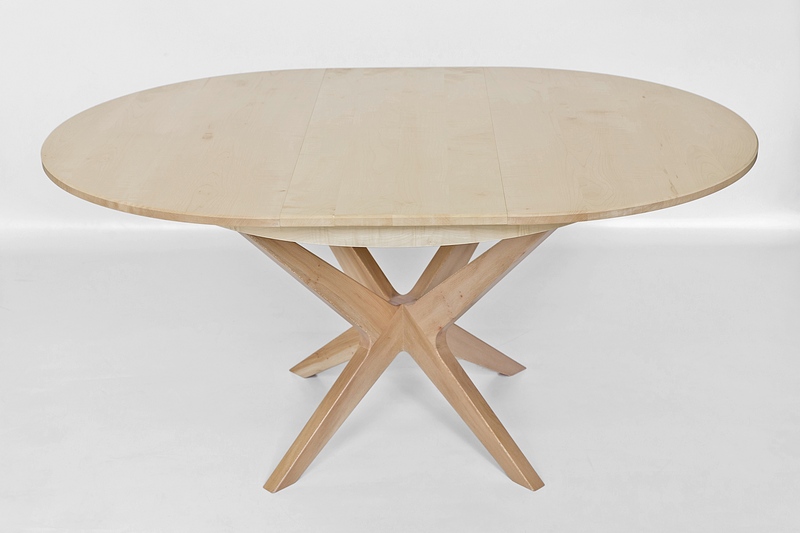 To finish simply push the halves back into place to lock the extended table together.